This is a GUI implementation of Happyworm jPlayer plugin, an HTML5 audio engine, developed on jQuery framework, that let you listen mp3 and ogg file over the html5 audio tag where supported or using an invisible flash player where not supported. For more informations about html5 browsers’ support go to jPlayer documentation site. 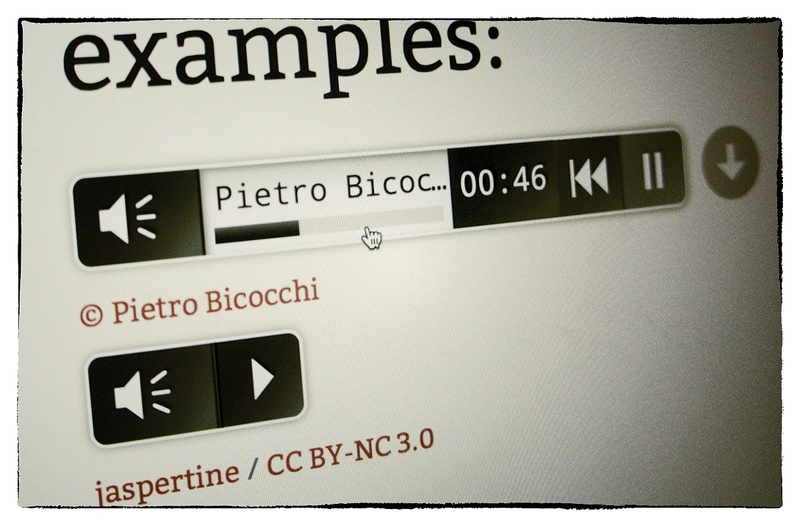 New feature: Added allowDownloadOnMobile option to let mobile devices download the audio file. On some devices this option doesn’t work. Bug fix: There was a bug with the download button that in certain case was rendered as player. Bug fix: Added a patch to jPlayer that should have fixed that Android bug. Now works correctly on Android devices too. Feature: The player size is more accurate. Feature: The player is now rendered as DIV instead of TABLE. The skinMaker has been redesigned. If you are updating from a previous version you have to replace the CSS file (many classes has been redefined). Feature: Updated to jPlayer 2.5.0.